The guided-missile frigate USS McClusky is scheduled to return to San Diego Friday from its final deployment, the Navy announced Wednesday. The vessel and its crew of more than 200 left San Diego on April 10 to conduct anti-drug smuggling missions off Central and South America. The Navy is phasing out frigates in favor of the new littoral combat ships, which are fast, maneuverable vessels designed for fighting in coastal areas. 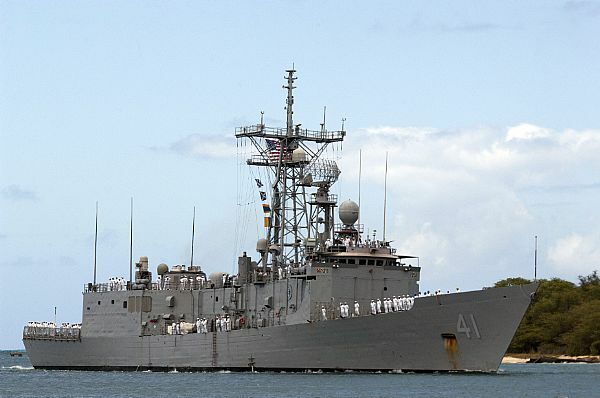 Another frigate, the USS Gary, is scheduled to leave San Diego on Wednesday for its final deployment. It is also set to head out for Central and South America to combat drug smuggling. Decommissioning for the McClusky is scheduled for January. The 32-year-old frigate is named after the late Rear Adm. Clarence Wade McClusky, who led successful dive bomber strikes on Japanese aircraft carriers in the Battle of Midway, which changed the course of World War II in the Pacific. The battle took place in June 1942.